The wooden pallet recycling plans presented here on our website have become a source of inspiration and motivation for a number of amateur crafters and beginners, and even the veteran crafters are also showing huge interest in our versatile wooden pallet recycling ideas. That is something pretty encouraging for us. This gives us a strange feeling of happiness, it makes us feel that we are doing something good for humanity and nature as well by discouraging cutting of trees, and giving the masses explicitly economical ideas. 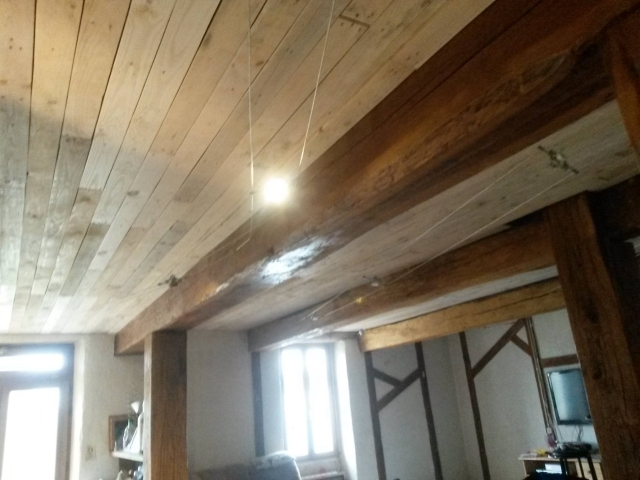 So in the continuation we bring here a pallet made roof ceiling. We have already presented a number of wooden pallet wall plans. 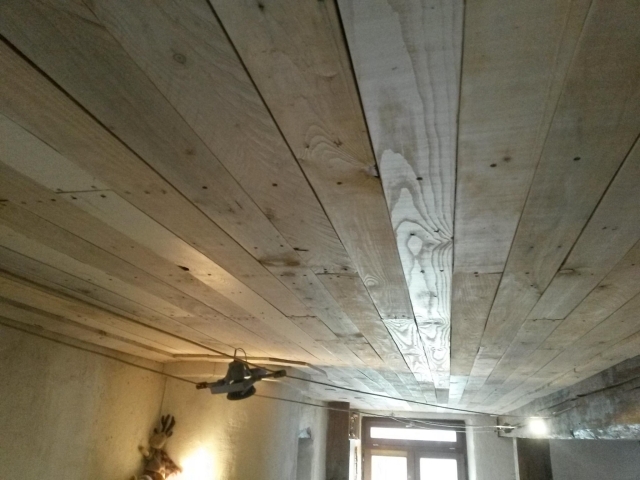 But this one is going to be the very first idea of pallet made roof ceiling. There also some other materials that could be used in roof ceiling, but the most attractive among all is certainly the wooden roof ceiling. But the negative thing is that it is a hundred times costly when compared to some other roof ceiling methods. But as we said earlier, we are offering you exclusively economical ideas where pallets would be used as the basic material. So you would be saving a lot of bucks and gaining the same utility. Have a look on the demonstration of pallet made roof ceiling. Same raw wooden pallet planks are first cut to size and gathered at one place. Then the surface is leveled with filling and sanding. And later these planks are pasted along the roof one by one in a certain sequence following a certain pattern. 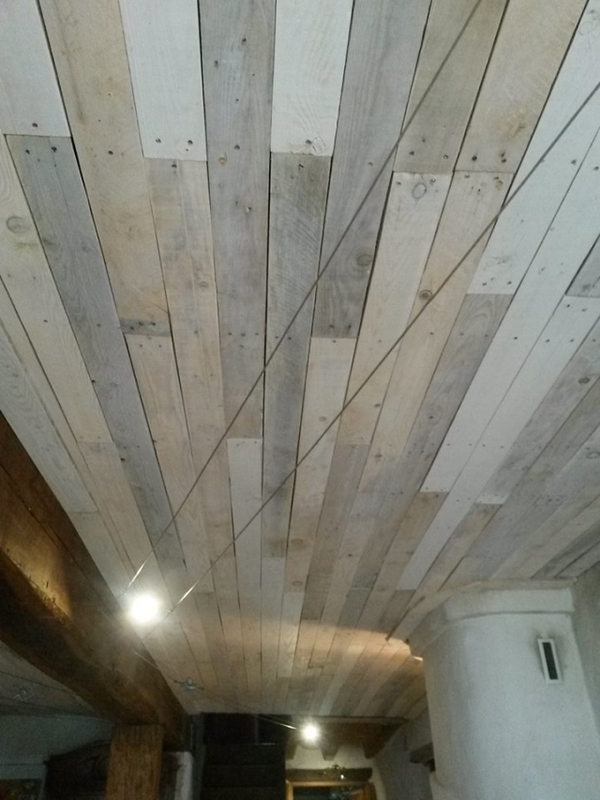 The whole room and lobby is covered with pallet roof ceiling. This shows that this pallet roof ceiling is so damn economical to fill even the bigger and wider areas. Just make sure to opt for some high quality adhesives or bonds.